The Pantone colour of the year for 2019 is ‘Living Coral,’ and we couldn’t be more excited about it. Coral is a colour that has been consistently popular for weddings over the last number of years, but this year we’re going to see more than just pops of coral, this year we’re going to see a whole new vibrant and lush interpretation, thanks to the ‘Living’ element. So think vibrancy and vividness, yet with mellow undertones alongside different shades of the main Pantone colour. All shades of coral work really well in wedding flowers. From subtle hints of pinks and oranges to full on vivid blooms, there’s something for all tastes here. Pairs really well with crisp whites and vibrant greens. And don’t forget to extend some of the colour beyond your bouquets and into your ceremony and reception too. One of the best ways to bring coral into your wedding is with your bridesmaids dresses. 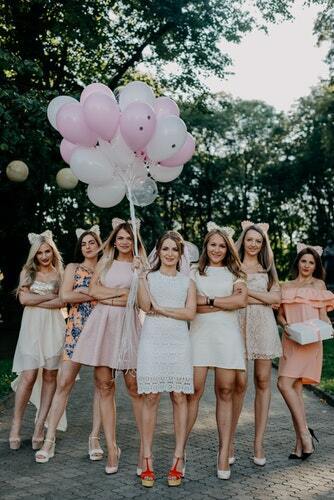 Whether you want to keep it traditional with matching long gowns or you want to give things a modern twist with shorter lengths or indeed let each bridesmaid have her own personality shine through with mismatching dresses, coral is a colour that is going to work on lots of skin tones. It’s also a great colour to contrast to the white or ivory or the brides dress itself and you can play around with what shade of ‘Living Coral’ is going to suit best. 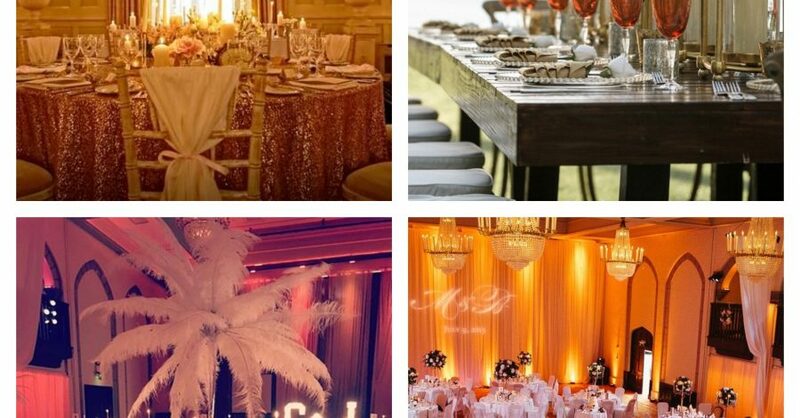 Why not go for mood up-lighters in coral shades to set the tone for your venue? 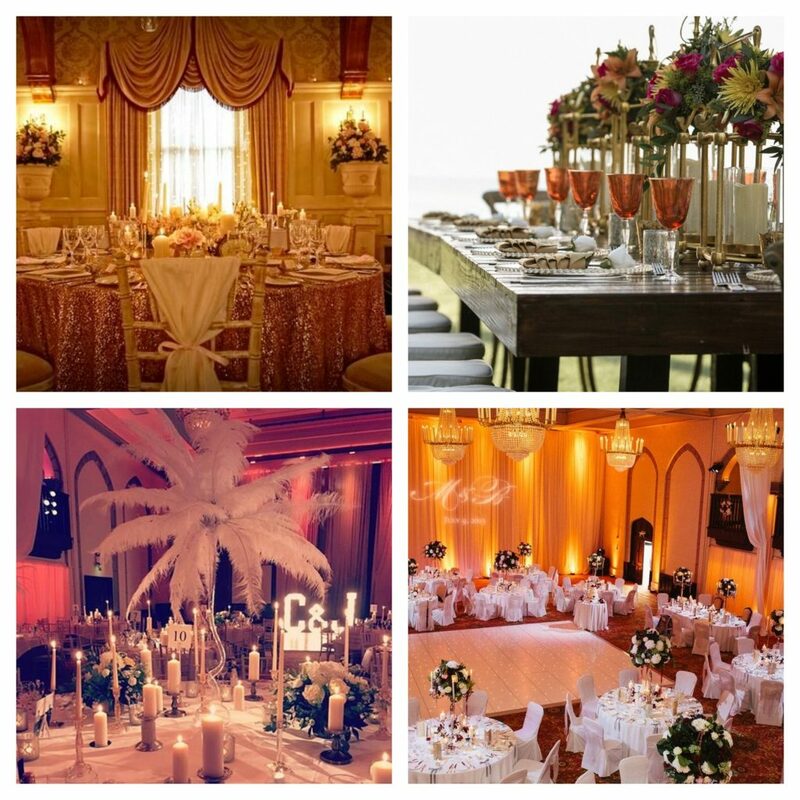 Coral draping or go for simple touches like coral inspired table cloths, napkins or table runners? Use lanterns filled with coral blooms for your centrepieces, living coral coloured pom poms hanging from the ceiling or coral candelabras as your table centrepieces? There’s no limit on the ways you can incorporate the colour into your décor. While coral lends itself well to all things décor, it’s also a superb match for sweet things! So whether you’re going for a wedding cake, or cake pops, cupcakes, macaroons or other sweet treats, interpretations of ‘Living Coral’ are the perfect match. 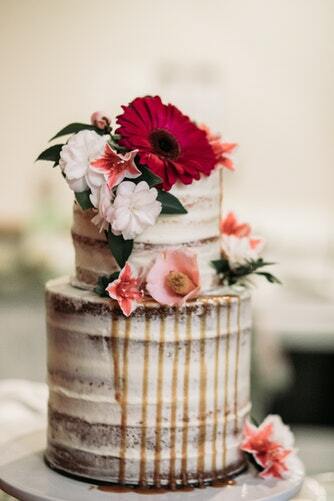 Naked cakes are still a big trend going forward and adding pops of coral is the ideal way to channel the trend with ease.